Hepatopancreatobiliary Surgery consists of the diagnosis and surgical treatment of benign and malignant diseases of the liver, pancreas, gallbladder, and bile ducts. Surgeons trained in hepatopancreaticobiliary (HPB) operations have treated many patients with diseases of these organs, and can offer a wide variety of treatment options. Liver Tumors – Tumors of the liver can be either primary liver tumors or liver metastases from other sites in the body. Primary liver tumors develop from cells of the liver and may require removal of multiple segments of the liver. The most common tumor to metastasize to the liver is colorectal cancer. Another type of tumor that metastasizes to the liver is a neuroendocrine tumor of the gastrointestinal tract. Removal of these metastatic tumors to the liver can extend survival for patients with cancer. Pancreas Tumors – Cancers of the pancreatic duct are the most common but patients can develop neuroendocrine tumors of the pancreas as well as cystic tumors that can either be precancerous or malignant upon presentation. Tumors of the pancreas require special operations for complete removal, and the specific operation undertaken is determined by the location of the tumor. Tumors involving the head of the pancreas may require an operation called pancreaticoduodenectomy for complete surgical resection; this operation is also called the Whipple operation after a surgeon in the 1930's who first successfully completed it. Gallbladder and Bile Duct Tumors – These types of cancers are relatively rare. 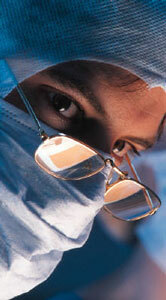 However, when identified, extensive surgery is required to achieve complete removal. Gallbladder cancer is surgically treated with complete removal of gallbladder and surrounding tissues, excision of a portion of liver, and clearance of lymph node tissue around the bile duct. Removal of segments of the bile duct is necessary for bile duct cancer, also called cholangiocarcinoma. If a patient has been told that they have any of these disorders, it is appropriate to see a HPB Surgeon for consultation and possible surgical options.